Myrian Aracelis Garcia, 61, of Meriden, passed away Tuesday, July 10, 2018, surrounded by her loving family. Born on February 18, 1957 in Dorado, Puerto Rico to the late Justina Matos Garcia & Gerardo Garcia. Myrian graduated from Bristol Central High School in 1975 and earned her Undergraduate & Graduate degrees from Springfield College. She was employed at Clifford W. Beers Guidance Clinic, Inc. in New Haven, CT as a Care Coordinator. She also held a CNA certificate. Although she loved her career in human services, she also had many entrepreneurial endeavors in fashion, entertainment, and marketing. Myrian was full of life and a very devoted Christian. She enjoyed music, dancing, exercise, volunteering with local community organizations, and traveling. Myrian is survived by her sisters Nayda T. and Donald LeMay of New Britain, CT, and Myrna E Garcia-Bowen and James Bowen of Killingworth, CT; her brother Gerardo Garcia Jr. West Hartford, CT; her nieces, Serrita T. Roper of Bristol, CT, Cristina T. Casey of Bristol, CT, Alexis E. Bowen of Los Angeles, CA, and Avery JJ. 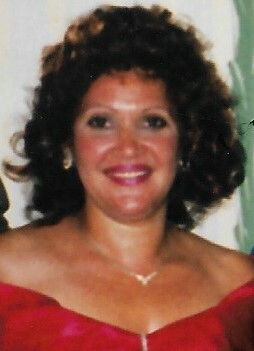 Garcia of West Hartford, CT; her nephews, James B. Rivera of Bristol, CT, Richard L. Casey of Milford, CT, James H. Bowen Jr. of Killingworth, CT, and Ashton G. Garcia of West Hartford, CT; her great nephews, Justino Rivera Jr. of Bristol, CT, Shane Thompson of Bristol, CT, Sean Thompson of Bristol, CT, and Brandon J. Rivera of Bristol, CT; and many aunts, uncles, cousins and beloved friends. Calling hours for Myrian will be at the Luddy-Peterson Funeral Home, 205 S. Main St., New Britain, CT, on Friday, July 13, 2018 from 4:30 to 7:30 PM.